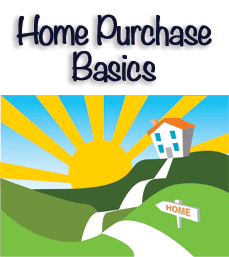 There are at least as many ways to finance a home purchase as there are circumstances in which to buy your home. Help from a friend or family member is one way to get that first home when it would otherwise be just out of reach. Co-signing the loan for a beloved family member is a way to help them to become homeowners if you are comfortable with the responsibilities that go with it. Co-signers help when the borrower is young and does not yet have credit or has a short credit history. Alternatively, the borrower might be living on a modest income that would not otherwise enable them to secure financing unassisted. If you are financially well established, with all of the assets and good credit that you could desire, you may be looking around to help the younger and less affluent members of your family. You will have the emotionally rewarding feeling of sponsoring your family. The changes in the economy over the past several decades have made it more difficult for young people to get established. Student debt and economic turmoil have made starting out in life more difficult, and it is rewarding for senior family members to help out. Co-signing a loan for a relative or friend is not without risks. As long as your name is on the title you are going to be sharing the risk, which has the real possibility of generating disagreements and hostility between the borrower and you; it is the sort of thing that can destroy family relationships. As a co-signer, you will be listed on the property title, and this will give you responsibilities but not many rights. In legal terms, the cost can be very high for you as the co-signer if the borrower defaults. The lender will come after you first, it will damage your credit, you will most likely not have any rights to take possession of the property and, depending on your state laws, any deficiency judgments that result from a foreclosure sale will be against you as well as the borrower. The lesson here is that, if you are sure, get sound legal advice on the laws of your state before make your decision and sign anything. If you are confident that your fledgling borrower is going to make the payments and build their credit and income, it is in your long-term interest if you can encourage them to refinance as soon as possible. If their credit and paychecks improve, their equity has increased sufficiently, or local real estate values rise, they will have some strong incentives to refinance based on their independent financial standing. Your borrower should appreciate the significance of this help for the generous act that it is and co-signers need to get comprehensive legal advice before agreeing to anything. Co-signing for a home loan is something that needs to be weighed very carefully but, if no other less extreme options are available, it can be one way for a family to pass on financial opportunities to the next generation.